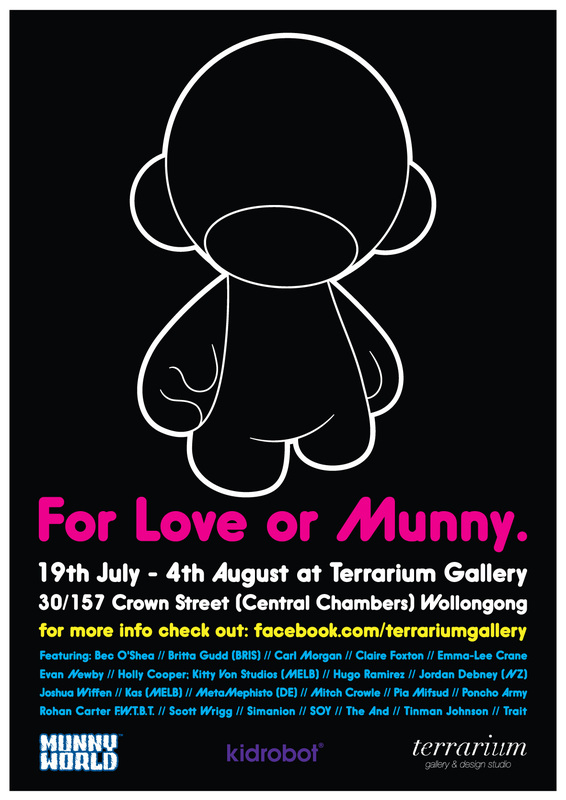 Terrarium Gallery in Wollongong is hosting a custom Munny exhibition starting on Thursday 19th July which will be running for a few weeks. It includes Kastner Creative’s recently completed Anubis Munny! Sponsored by Kidrobot and Munny World the event will include toys from over 20 artists from Australia, New Zealand and Germany.